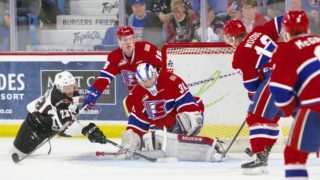 SPOKANE, Wash. / CALGARY – Spokane Chiefs Jaret Anderson-Dolan and Ty Smith were each named 2017-18 Western Conference First Team All-Stars, as announced by the Western Hockey League on March 21. 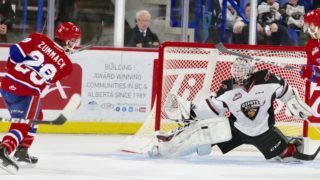 Anderson-Dolan led the Chiefs with a career-best 91 points, good for t-14th in the WHL, including 40 goals. 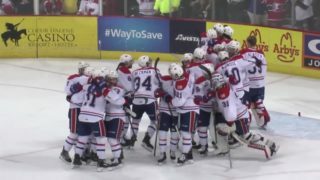 The Los Angeles Kings prospect (2017 2nd Round) piled up 280 shots on goal throughout the season (11th WHL) and was second in the league with five shorthanded scores. 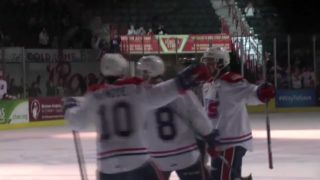 He scored multiple goals seven times, punctuated by a hat trick and five-point effort at Tri-City on February 10. 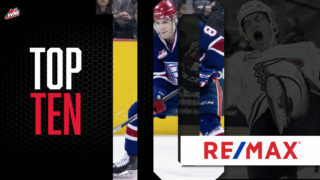 He was particularly effective after the January 10 trade deadline, scoring 18 goals and 27 assists in 30 games to help the Chiefs to a 20-7-2-1 record. 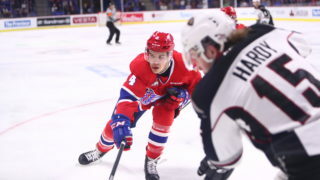 Smith, a former first overall WHL Bantam Draft pick and 2018 NHL Entry Draft top prospect, had a banner year for Spokane. The 2000-born blueliner ranked third on the Chiefs’ scoring list with 73 points, good for sixth in franchise history for a defenseman. He was the top-scoring rearguard in the Western Conference and second overall, trailing only Medicine Hat’s David Quenneville (80). His +44 rating was a team-best and tied for seventh among all WHL players. Smith’s season was highlighted by a franchise record-setting seven points (2G-5A) against Prince George on Feb. 23, breaking a mark that had stood since 1986.